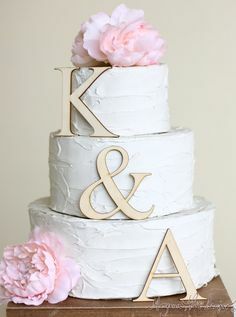 Personalize your cake with your initials, this will take care of the decoration and make it very unique. 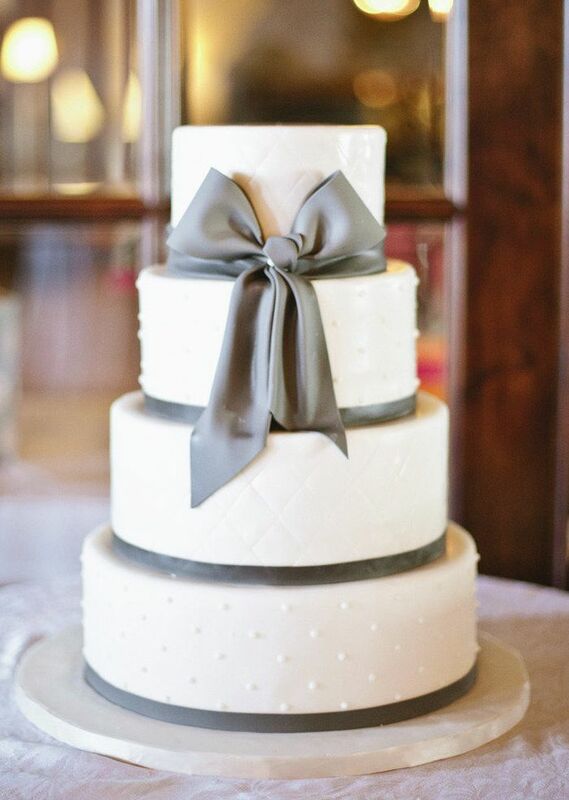 On each layer add a colorful ribbon either made of fondant or textile, you will create a nice contrast with not a big effort. 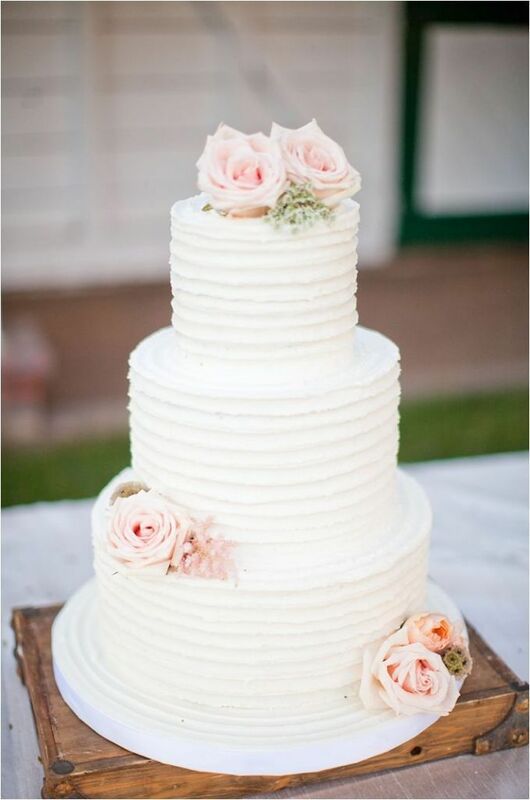 Real flowers or fake flowers can be very nice elements to incorporate to your wedding cake to add a special touch. 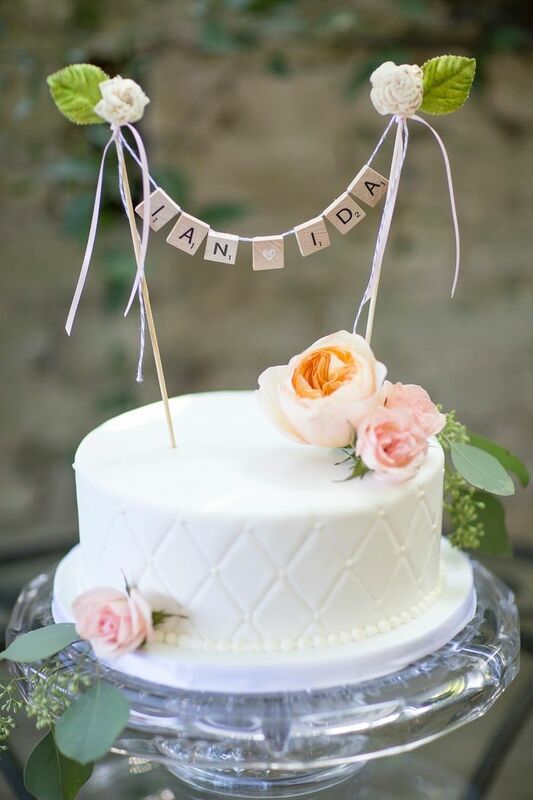 Create a custom made garland with the message you wish and the theme colors of your wedding. 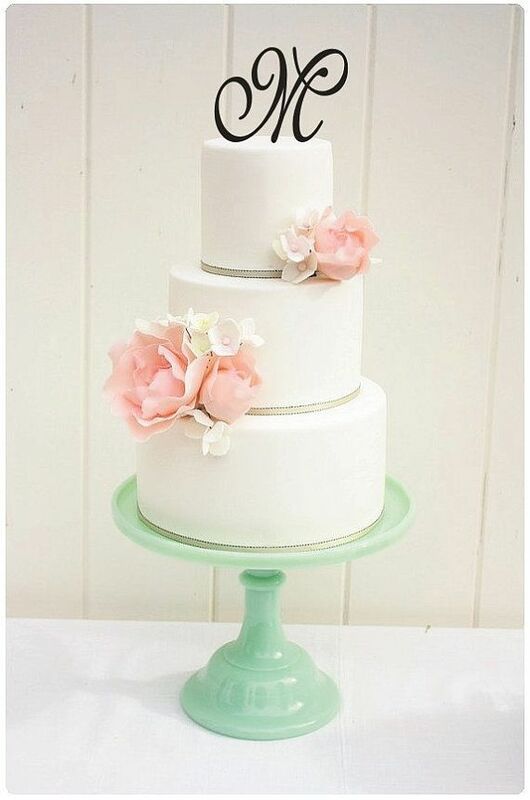 This will add a special touch to your wedding cake. 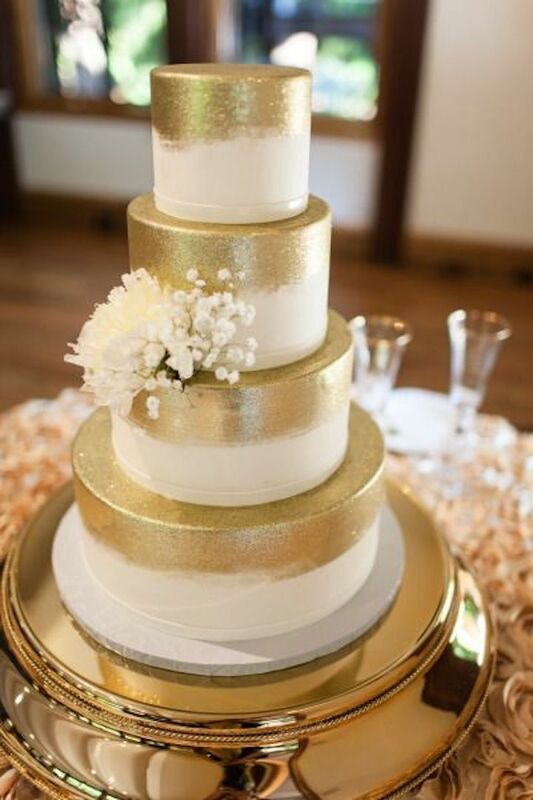 Eatable glitter is a fun and shiny way to personalize your wedding cake and add a chic touch. 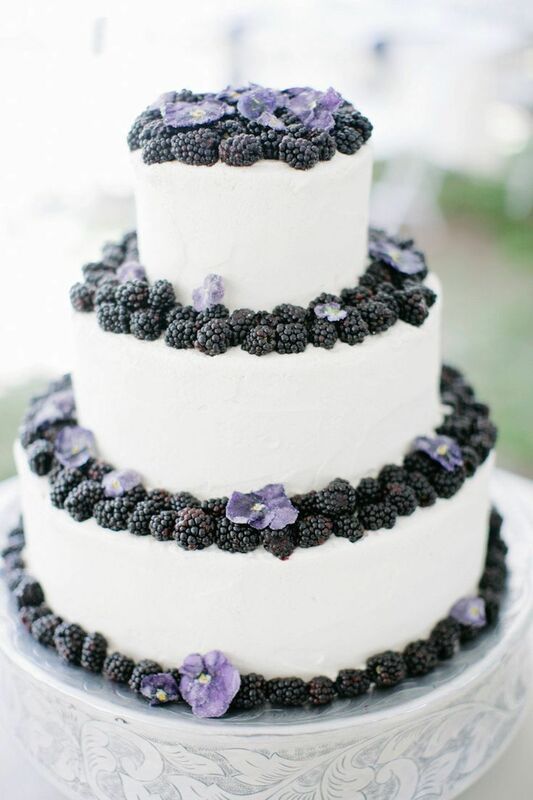 Fruits such as berries can be added to your cake to create a fresh, colorful and romantic look. 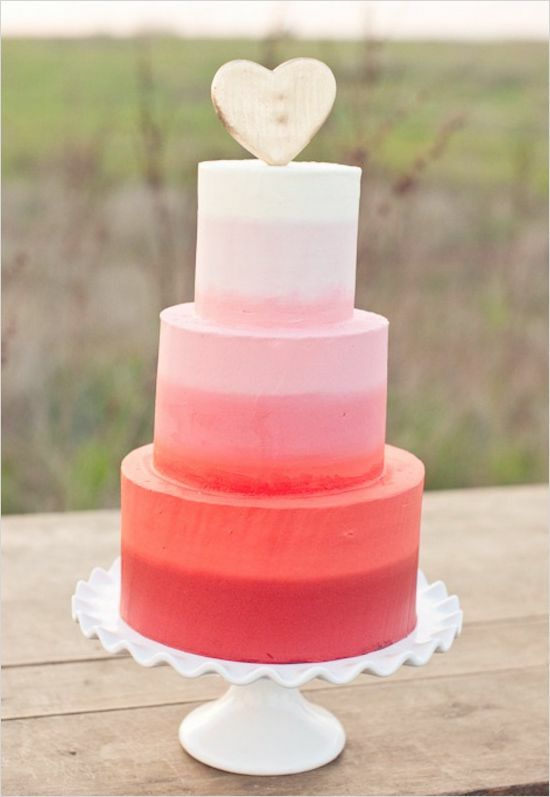 You can add the theme colors of your wedding to the frosting of your cake fading from one tone to the other. 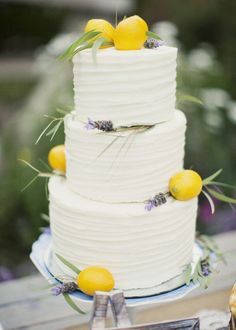 An elegant cake does not necessarily need to have a lot of decorations, you can opt for a very simple white minimalist cake. 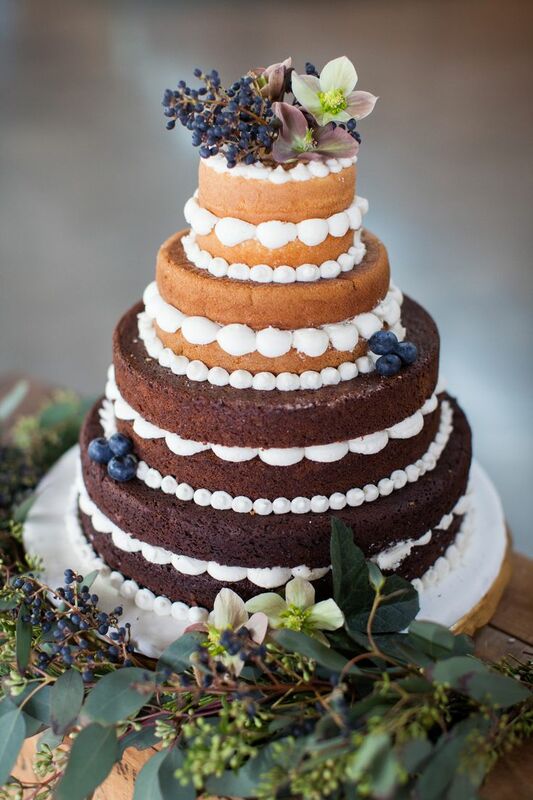 A trend of this year is no avoid covering the cakes with frosting, this is called a “naked cake” where you show the inside of the cake and the ingredients. 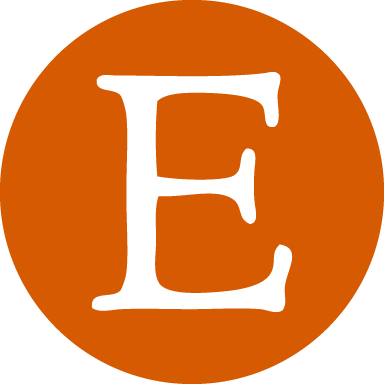 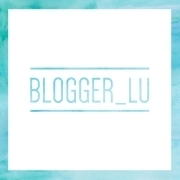 This option can save you a lot of money without compromising beauty. 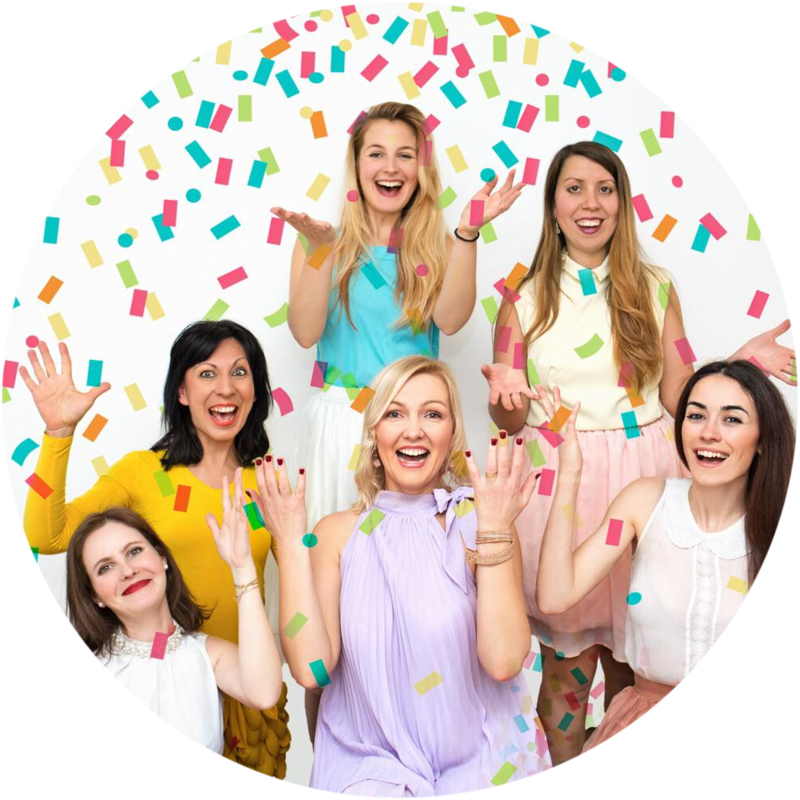 Add a custom made glitter cake topping with a phrase that is important to you, it could be a quote, love song phrase, title, last name etc. 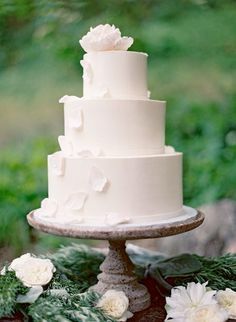 Ruffled cakes are a very nice way to decorate a cake and adding some volume and texture, normally ruffles are easy to do and will avoid high costs on detailed decorations. 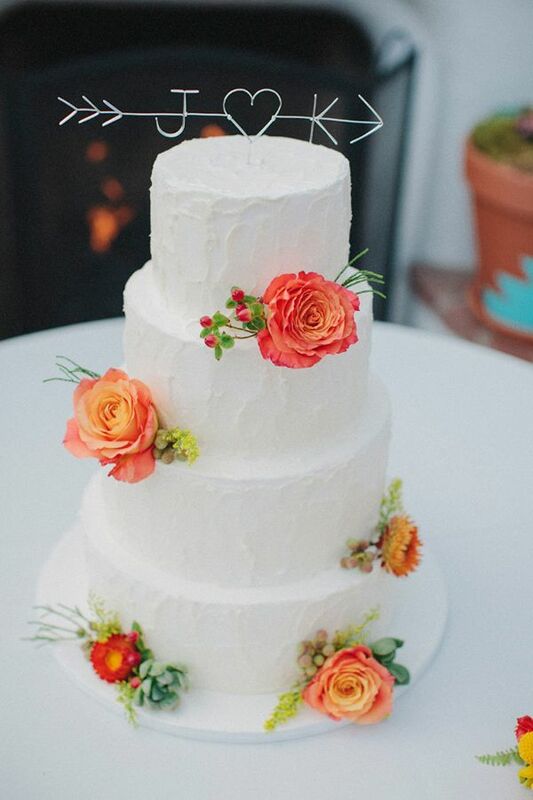 Integrate some natural elements to your cake to save on decorations, you can add leaves, plants, nuts, etc. 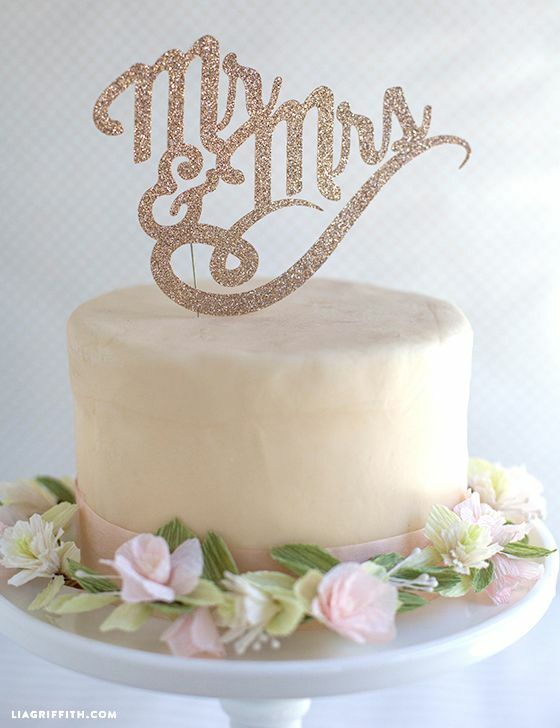 Add the first letter of your couple’s last name to personalize your wedding cake and use it as the topper. 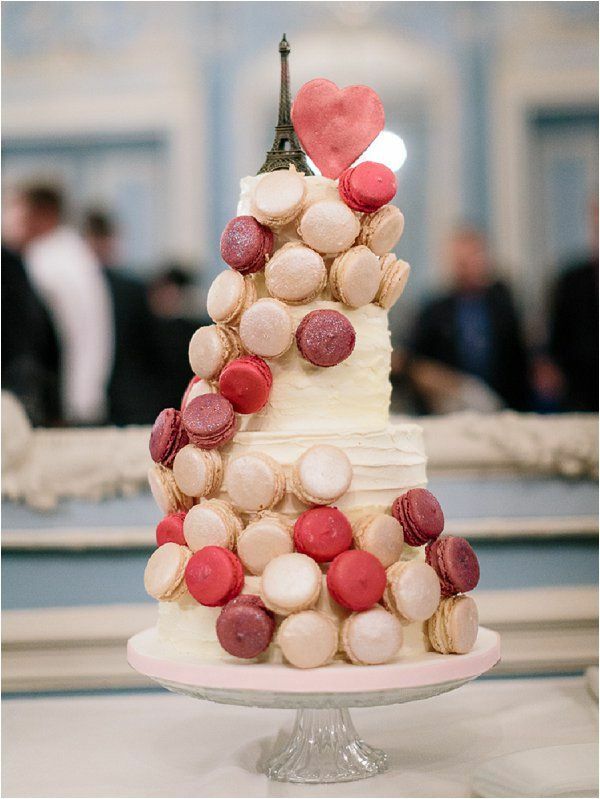 Buy some macarons in the colors of your choice and add them to your wedding cake with some wooden sticks, you will create a very original and colorful look.